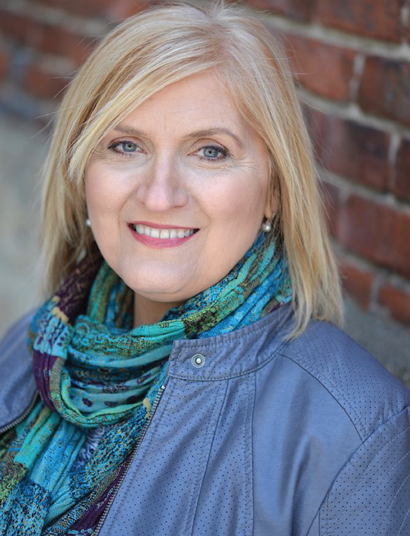 A heavy hitter and keen supporter of everything audio for eLearning, Kim has been providing excellent and award winning voice over narration for eLearning since its adoption into wide use. Born of educators and an industry leading voice over artist, she studied instructional design as a multimedia platform during her Communications degree which helped her jump into the medium in the mid ‘90’s briefly as a writer and whole heartedly as a narrator. The go-to voice for internal courses for sales reps for the top 20 pharmaceutical companies, Kim has acquired an extensive medical vocabulary and understanding of the health domain. She has narrated a large volume of modules on IT in the Health industries for the US government; safety and compliances courses for Health Canada; anatomy and surgical methods for Botox and plastic surgery procedures; and online instruction lessons in how to operate radiation machines for manufacturers of targeted radiology for cancer treatment. While the lion’s share of Kim’s work as a narrator has been voicing custom eLearning, she was also the go-to voice for a series of (96) commercial off-the-shelf courses for Adam Health. Several of these courses represent part of the over 2 dozen Communicator Awards Kim’s work has garnered. Her voice has also helped companies win numerous Brandon Hall, IPL and IELA Awards. One of Kim’s strong suits is assimilating dense, technical or dry material and making it interesting, even engaging for the learner. Your program reaches its goal when the learner retains the information you worked so hard to creatively produce. Kim infuses your voice over script with powerful, effective communication aimed at maximizing attention and retention.